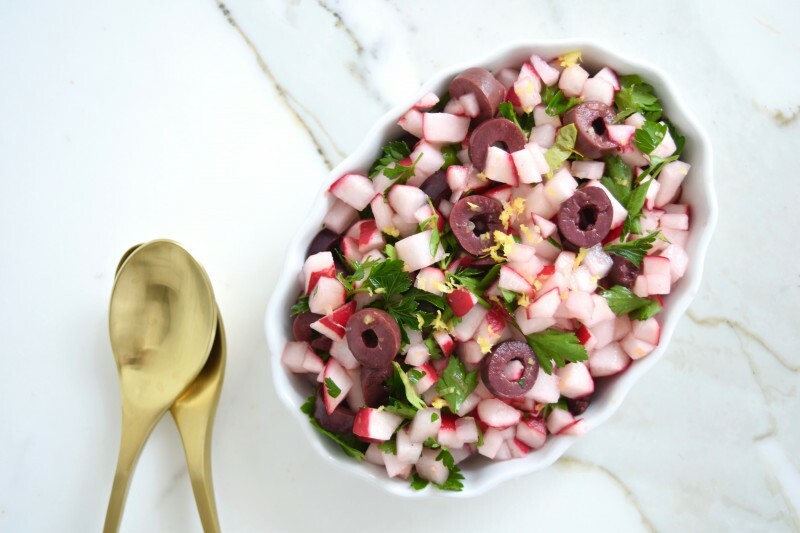 This quick and easy radish olive salad tastes bright and fresh, and is a nice spring side dish or salad topper. Lemon is a refreshing source of Vitamin C and phytochemicals called limonoids, which are concentrated heavily in the skin and which have been shown to help fight certain cancers, notably cancer of the mouth, skin, lung, breast, stomach and colon. (2, 3) Lemon zest is an excellent way to add fresh flavor to any dish, and added nutrition! Simply use a microplane to zest the lemon before you cut into it for the juice. Lemon zest can be frozen, and is great on top of steamed veggies. Olives add flavor to this salad, and when you slice them up, you realize you don’t need many! I love the pitted organic (or non-organic) olives from Divina. Get a jar for $5.99 at Amazon Fresh. 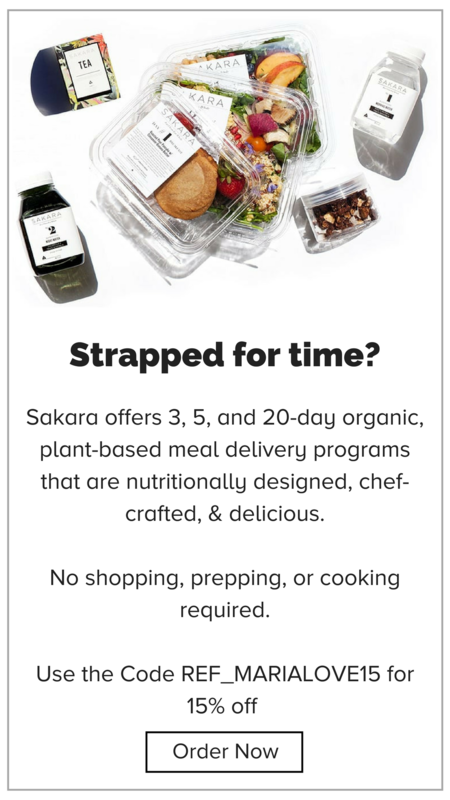 If I don’t have time to go to my local farmer’s market, Amazon Fresh has organic produce ready in a pinch. You can get organic radishes and parsley delivered with Amazon Fresh. 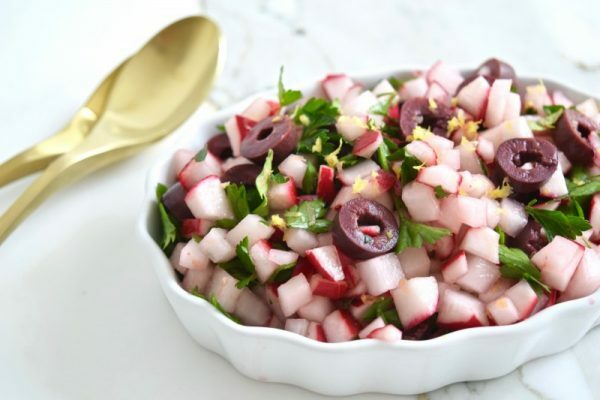 Combine the radishes, olives, parsley and lemon juice in a bowl, and toss well. Taste, and add salt and pepper as needed to taste (you probably won’t need any salt because of the olives).